A bustling seaside resort has grown up around the distillery in the two centuries since it was first built in the town of Oban. 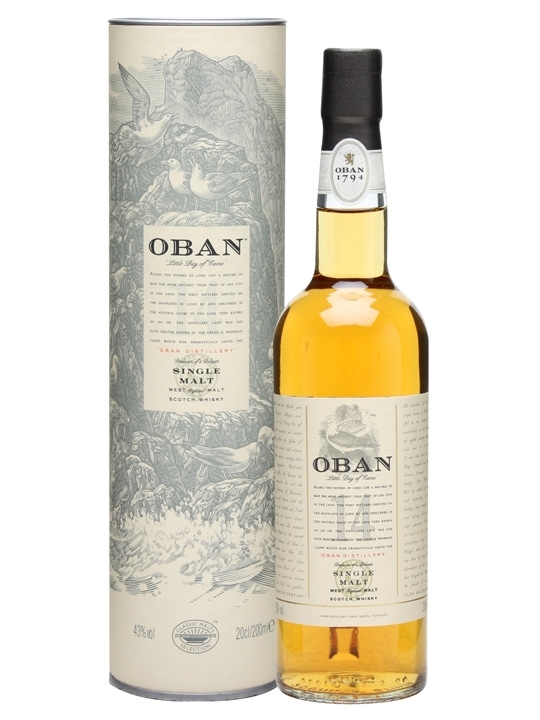 The Western Highland representative in Diageo's 'Classic Malt' series, Oban 14 year old is still produced in the same unhurried and traditional fashion not to mention the fact this 14 year old is a classic dram from the superb distillery. 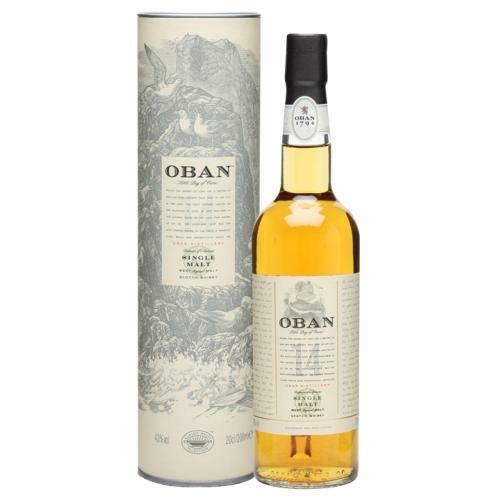 Oban 14 year old is a fantastic, fruity malt with a combination of rich sweetness with a smoky dryness as a pleasing spice soon distinguishes itself in this lovingly-matured Highland malt.